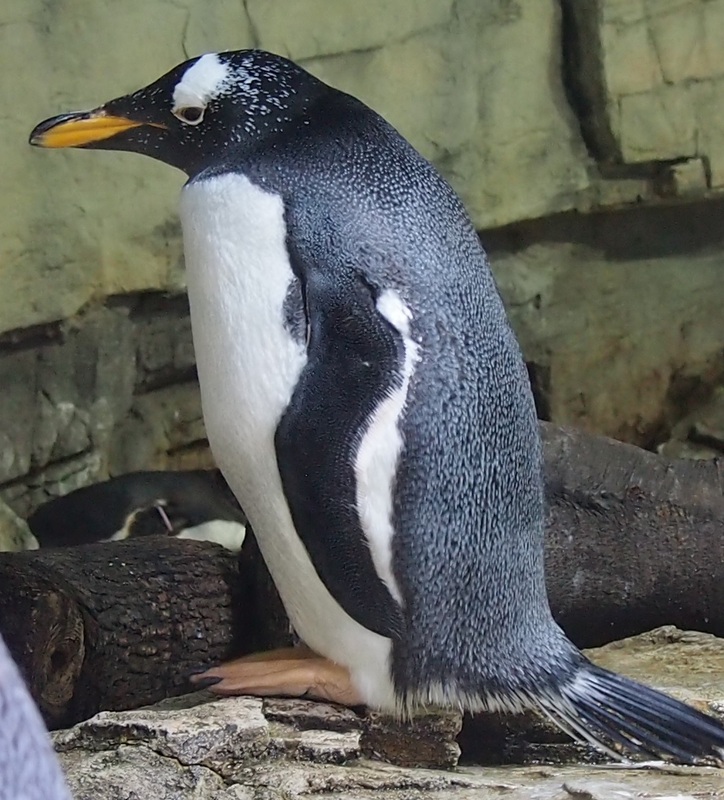 There are approximately 18 different penguin species. 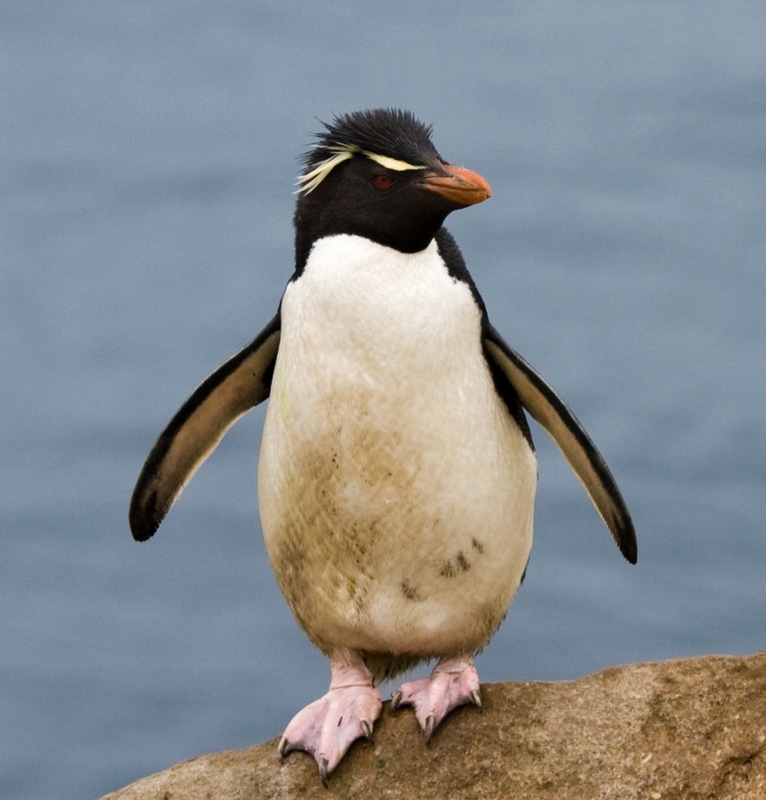 Confusingly, some scientists insist that there are more or less than 18 species. 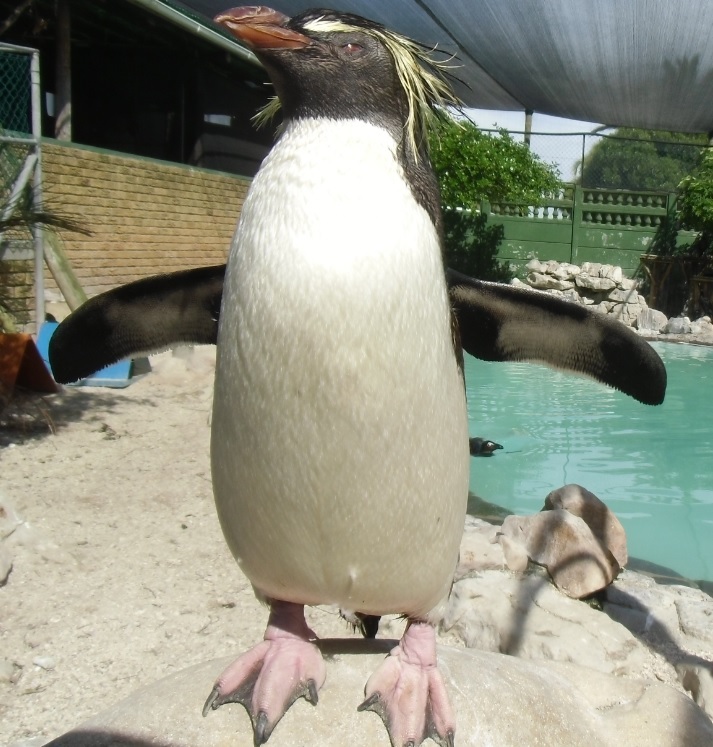 For example, they state the Rockhopper Penguin as two different species, the Southern and Northern Rockhopper Penguin, while other scientists arrange them as subspecies. 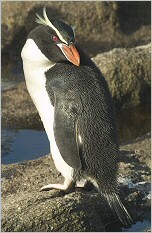 The same problem comes up for the White-flippered Penguin. 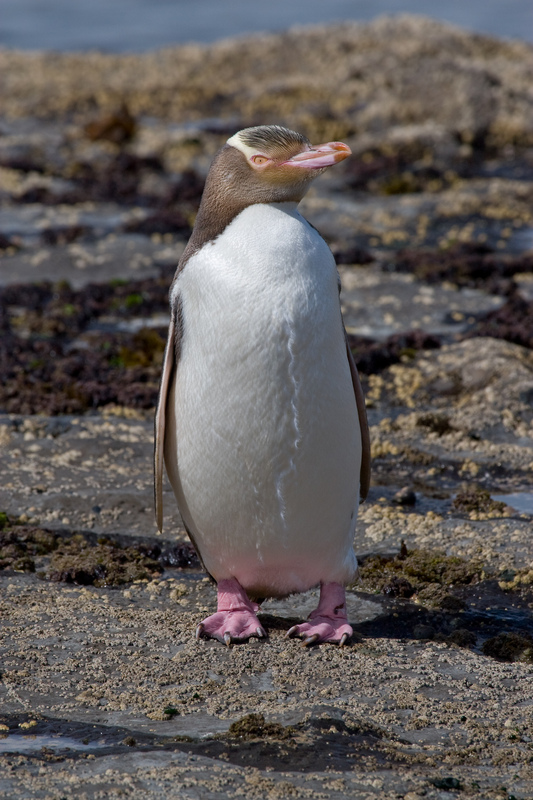 It is classified as an own species or subspecies of the Little Blue Penguin. 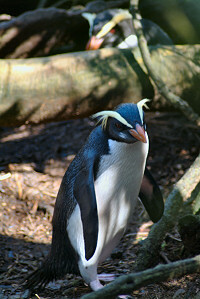 The smallest penguin is the Little Blue Penguin, it is only 30 cm tall. 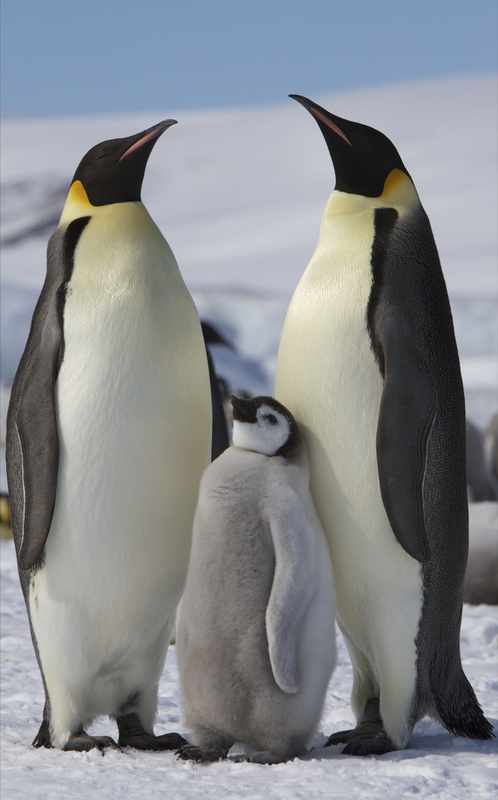 The Emperor Penguin reaches the maximum size of all recent penguins, it can grow over one meter! 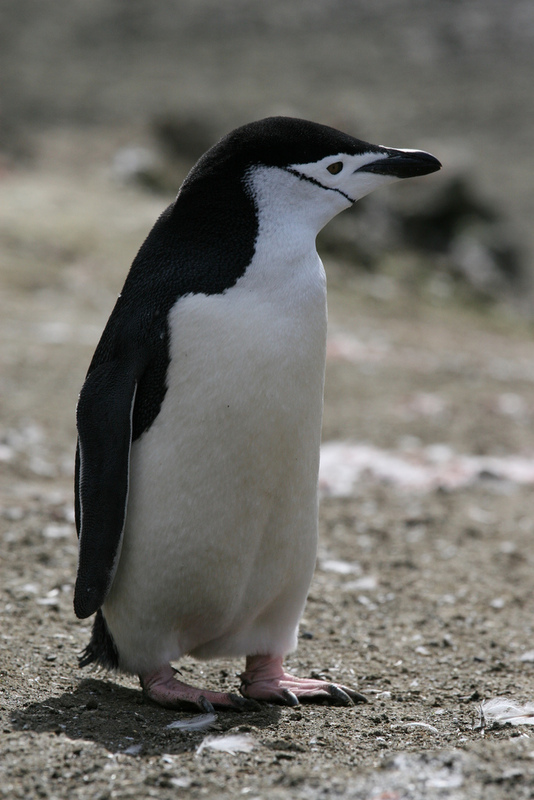 The extinct Pachydyptes Ponderosus could even achieve a size of 1,60 m.
All penguin species are living on the southern hemisphere. 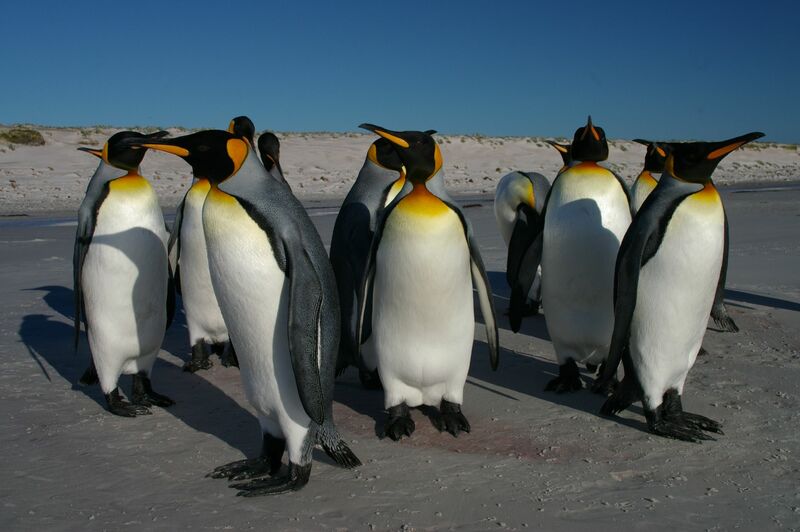 They are distributed from Antarctica till equatorial regions like the Galapagos Islands. 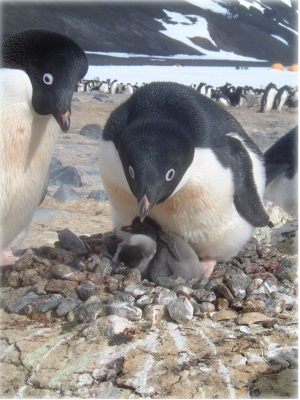 So, penguins do not live at antarctic regions in perpetual ice exclusively - contrary to what many people have in mind. 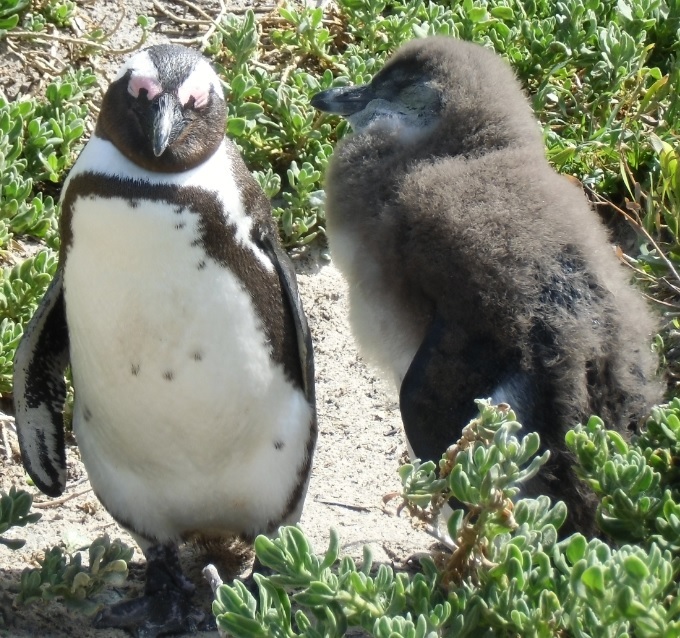 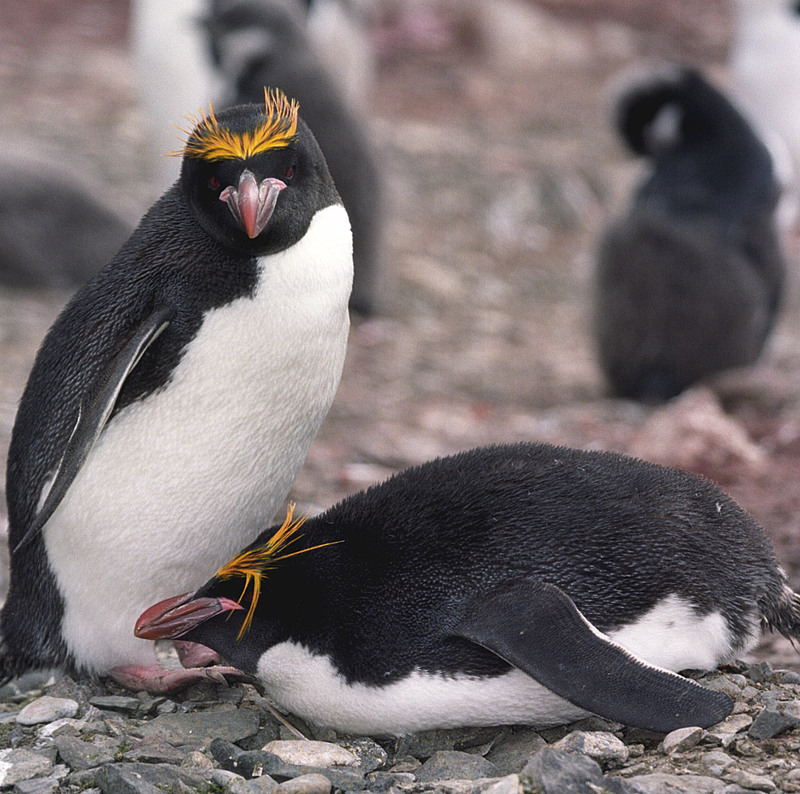 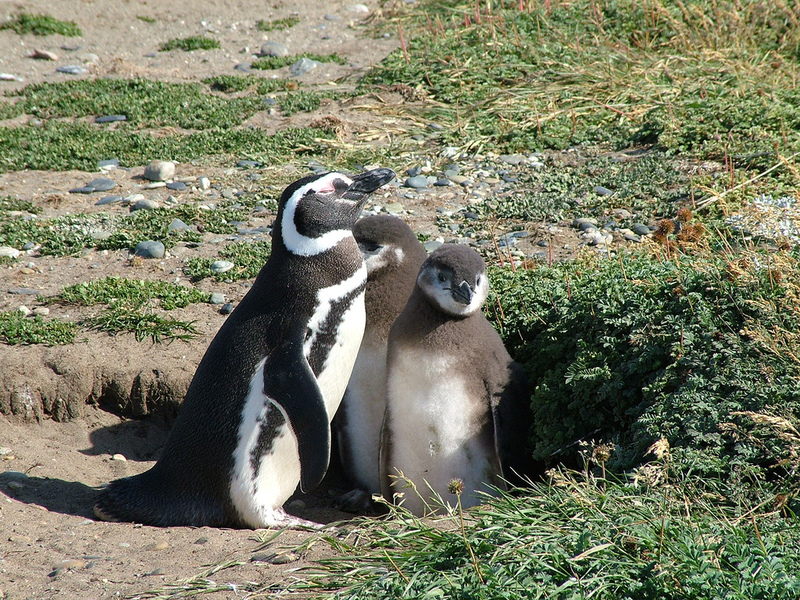 Today almost two thirds of the penguin species are listed as "vulnerable" or even as "endangered" by the IUCN. 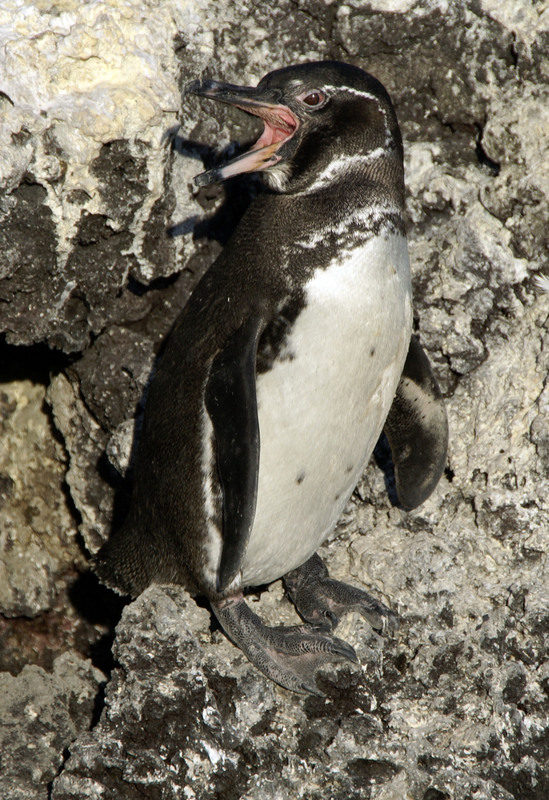 That is why conservation is very important! 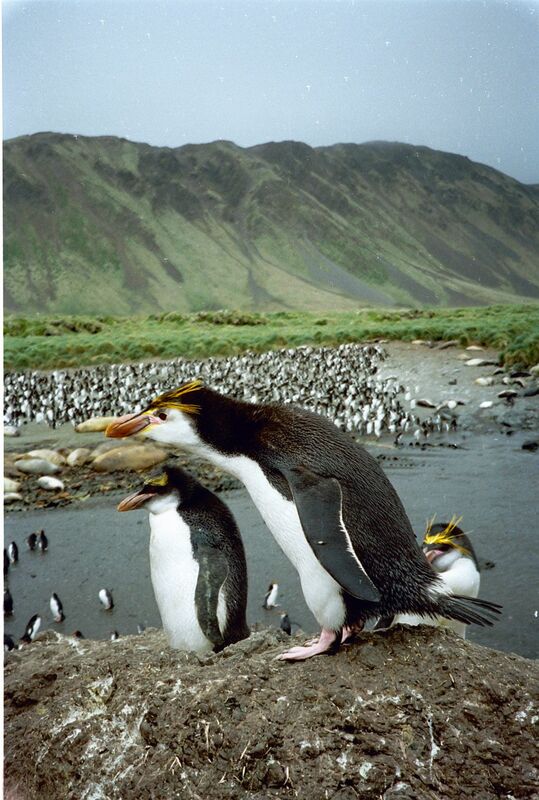 A comparison of all species in weight, size, egg size and IUCN status you can find here or if you click the link in the menue on the left side.